I started off 2018 with such an exciting trip. I had been saving for most of 2017 for this opportunity. I took my first trip over to Asia! More specifically, Thailand. 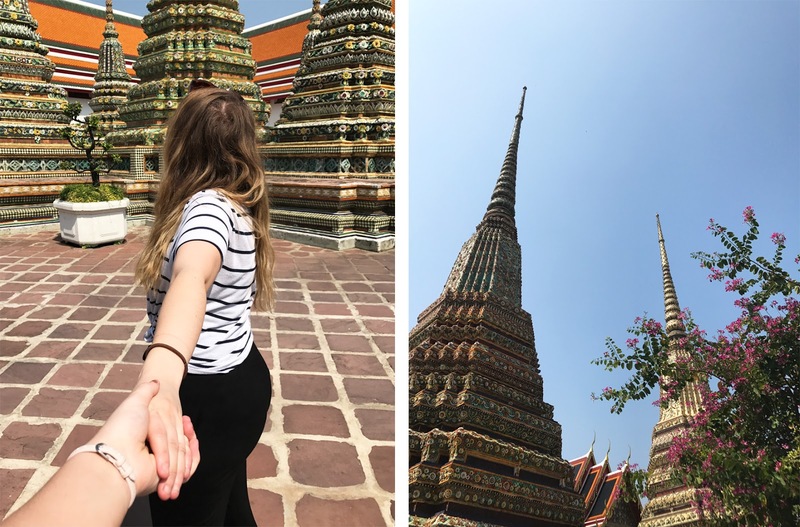 This was not just any old trip though, I had sight seeing, working with elephants in a sanctuary and sunbathing on a Thai island to look forward to. I really couldn’t wait! I will also write about working with elephants and give you some more details on how I came to do that shortly. The place really was a sanctuary for them (I promise), but more on that in another blog post. 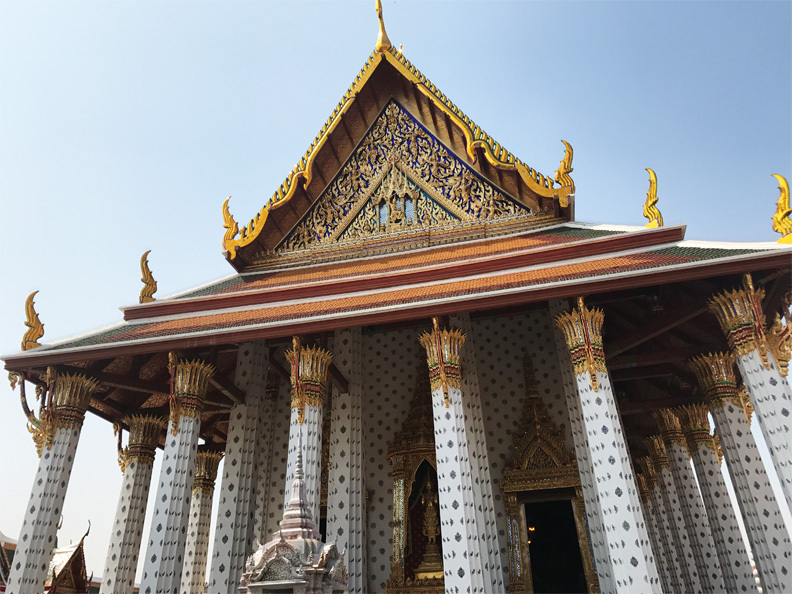 When I spoke to the group I was touring with, most if not all stated that they didn’t like Bangkok.The busyness and the heat put them off. I think maybe I have worked in London too long because neither of these things bothered me. 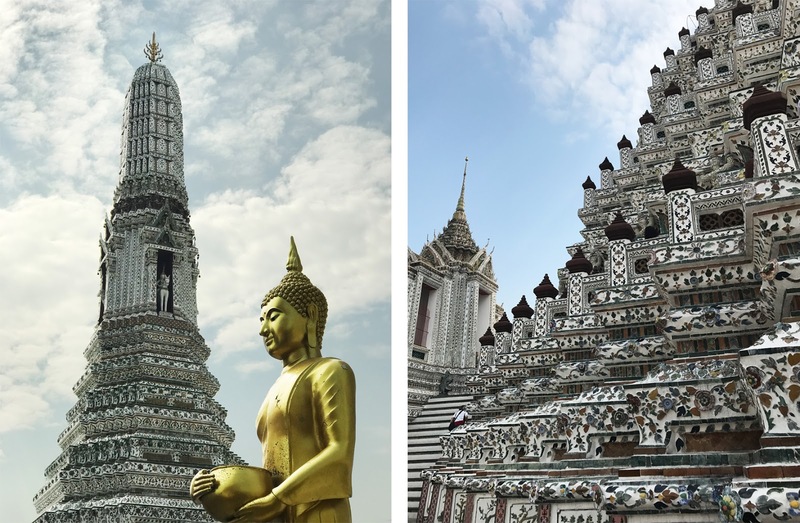 In fact, I would go as far as to say Bangkok was one of my favourite cities I have ever visited. Which leads me to my first reason of why I loved it. Whether it was a temple or a house along the river. I loved it all. It is a mix of modern and traditional and it just worked. 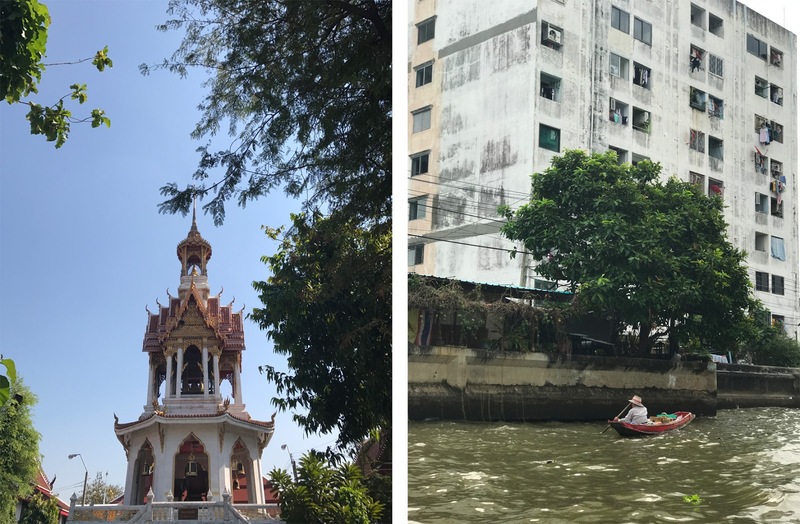 I was very fortunate to experience a miniature boat cruise along the river where you could see most buildings, such diversity! Intricate too,The smallest details made a big difference and colours. Not to mention there is also a temple dedicated to a 15 meter tall reclining Buddha! …and I don’t just mean the temperature! Everyone I spoke to or came across was so lovely. 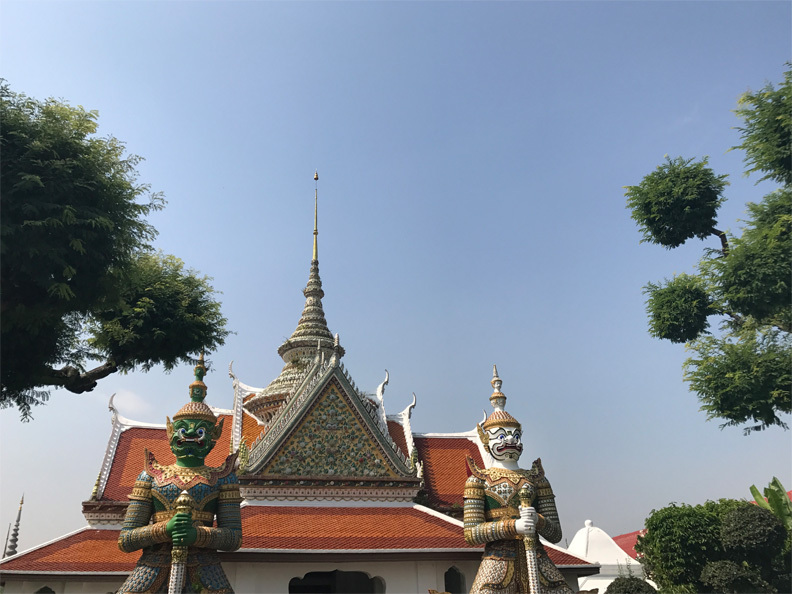 We were walking around exploring on the first day and we asked a gentleman if we could enter a small Buddhist Temple that we stumbled across; we left his company with a map, secrets on how to avoid paying too much for the floating market and him calling us a cheaper TukTuk. The hospitality of Thailand is unreal and it makes me sad that people exploit them in more ways than one when heading over there. Now of course I am talking about Pad Thai. It was my first experience ever eating it! I used to be such a fussy eater but recently have adapted a LOT in 2017. I decided to hold off trying it though until I got to Thailand and it was so worth it. Easily one of my favourite dishes that I could eat every day. If you are a fussy eater but still want to visit Thailand, fear not because they have something for every one in most places. Also, lets not forget my massive sweet tooth. Strawberry KitKat’s and Taro (Purple sweet potato) ice lollies any one?? It goes without saying that Thailand is really cheap. It was a shock to me how cheap it actually was. Although some meals were provided for me, I spent around £250 my entire time I was there. I did every thing I wanted to as well and did not hold back. I had honestly never experienced anything like them before and I literally loved them! I was riding in my last one when my trip was coming to an end and all I could think about was how I wish I could have one of these in London. A unique experience to say the least and CHEAP. Some had lights on and loud music, some were more personalised. I hopped in one which had money from all over the world to the top of it. I enjoyed thoroughly wizzing around in them. That is some of the things that I loved about Thailand. I really can truthfully say that will not be my last time there. I need to go back already! I didn’t really spend my time partying while there, I went more for culture and experience. I did have a weird night out while in Surin but that is a story for another day. Have you ever been to Thailand? What did you enjoy? Let me know. "A VEGETARIAN FOOD GUIDE TO L.A (NO SALADS INCLUDED)"
"THE TOP 5 BAD EXPERIENCES I’VE HAD WHILE TRAVELLING." I'm glad you liked it. Because I didn't at first. 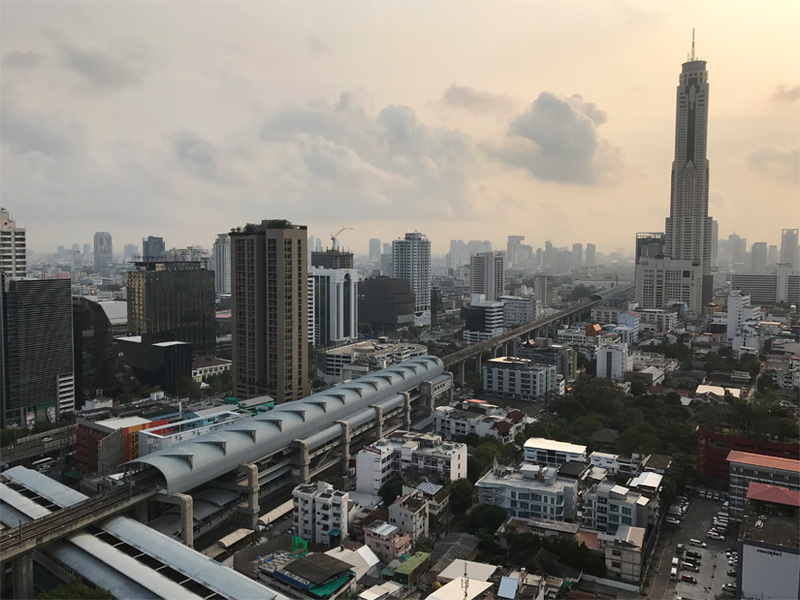 After the first visit to the city I left Bangkok thinking I will never return. Luckily I did return, and not only once. 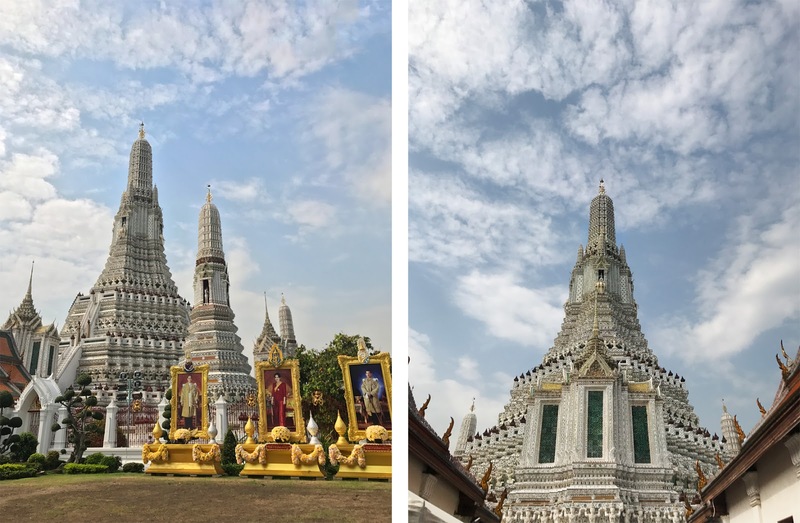 Because now after exploring other parts of Bangkok I've started to love it, too. It's a VERY HUGE city. And as it turns out, on my first visit I spent most of the time in some, let's say, not so good areas. Ah, that makes complete sense and is totally understandable. I spent time in a small portion too, but I enjoyed what I saw, so perhaps I got lucky?